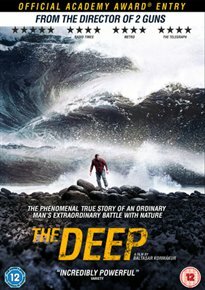 Based loosely on real events, in which a fisherman endeavours to survive the sinking of his ship in freezing waters. Gulli (Ólafur Darri Ólafsson) is a giant of a man. Only the day before he and his crew set out for a catch he protects his newly-recruited cook during a brawl and is well accustomed to the tough life of a fisherman. However, when an accident involving a snagged net causes the ship to sink in the biting cold of the North Atlantic, Gulli faces the most daunting challenge of his life. The lone survivor of the incident, he will have to draw upon unforeseen stores of courage, energy and resolve if he is to find his way to the shore and safety.